The Department of Surgery is pleased to announce the appointment of Dr. Mirko S. Gilardino as Director of the Division of Plastic Surgery at McGill University and Director of the Division of Plastic Surgery (adult services) at the McGill University Health Centre, as of February 1, 2019. He will replace Dr. Lucie Lessard who has led the Division of Plastic Surgery so ably for many years. We all want to thank Dr. Lessard for her hard work, wisdom and vision in this leadership role. 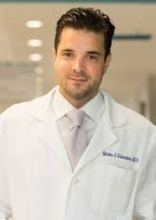 Dr. Mirko S. Gilardino is currently an Associate Professor of Surgery at McGill. He received his MD from the McGill University Faculty of Medicine, completed six years of Plastic Surgery residency and a Master’s Degree in Experimental Surgery at McGill University. He then went to Philadelphia for fellowship training in Complex Craniofacial Surgery at the Children’s Hospital of Philadelphia (University of Pennsylvania), the No.1 ranked pediatric hospital in the United States. He is certified in plastic surgery in both Canada and the United States. Dr. Gilardino has served as Director of the Plastic Surgery Residency Program at McGill for 8 years and is actively involved in surgical education and training of residents. He has an active research portfolio and has received several peer-reviewed grants for his research in bone regeneration, surgical education and simulation, reconstructive surgery/wound healing and surgical innovation. He has over 50 publications and book chapters and has supervised dozens of research students, often in collaboration with other divisions of surgical research. Since 2008, he has been the Director of the H.B. Williams Craniofacial and Cleft Surgery Unit at the Montreal Children’s Hospital, where he performs complex pediatric craniofacial reconstruction and directs the multi-disciplinary team committed to providing state-of-the-art care for children born with facial anomalies. Please join us in congratulating Dr. Gilardino on his appointment to these important positions. Gerald M. Fried, MD, CM, FRCSC, FACS, FCAHS, M.S.C.